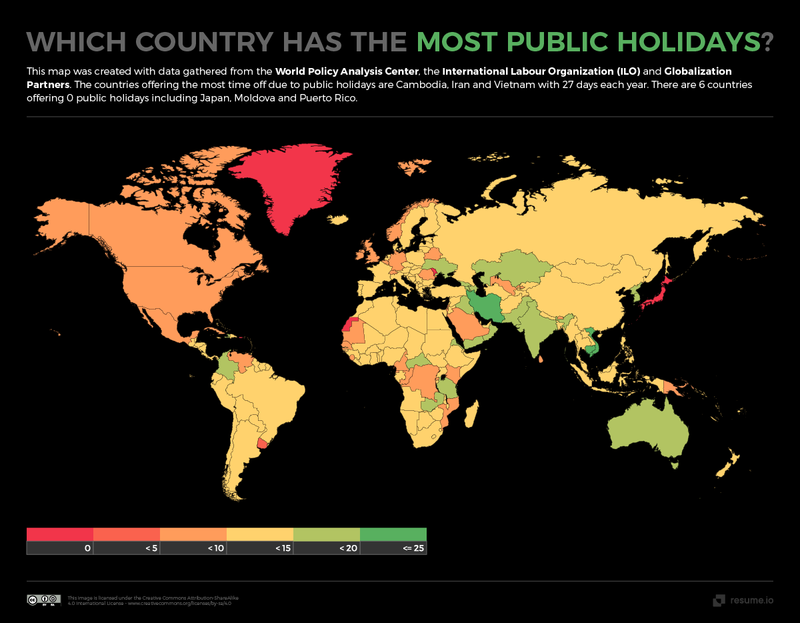 Cambodia, Iran and Vietnam have the most public holidays each year - with 27 days in total. Latvian mothers can take 658 days of paid maternity leave - more than any other country. Public holidays are great, aren’t they? A day where - in theory - everybody gets to take time off work at the same time, so families can get together and celebrate a religious holiday or a memorial of a historic event. It can be a time for BBQs, fireworks, presents, decorations, or, if you work in retail or the service industries, just another day of work. Leading the way here is Cambodia, which offers 27 days of paid public holidays. Also read: From costing a dime to amounting a fortune, the difference in mobile data prices across the world is bizarre!